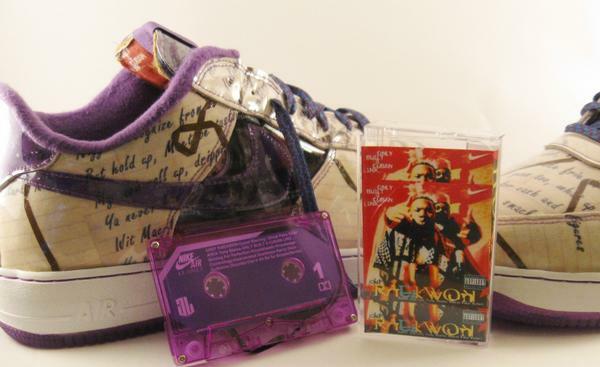 This past weekend, Raekwon’s solo debut, Only Built 4 Cuban Linx… celebrated its 20th anniversary. The Staten Island, New Yorker and co-founder of the Wu-Tang Clan released his Loud/RCA Records debut to Top 5 fanfare and an eventual gold plaque. Famously called “The Purple Tape,” the RZA-produced effort was manufactured on clear-purple cassette upon its initial release, at a time when the format was still in vogue. Twenty years later, Rae’ is partnering with Italian athletic shoemaker Diadora and Packer Shoes for the “Only Built 4 Cuban Linx Sneaker.” Formally called the N. 9000, the Diadora features leather and suede (popular materials to Wu-Tang lyrics) as well as a label inspired by the Parental Advisory sticker found on albums, including all six Raekwon The Chef releases. Previously, Nike Air-Force 1’s made a Raekwon/Only Built 4 Cuban Linx…-themed limited edition sneaker.